I don’t know about you but I have accumulated a large amount of mason jars lately. 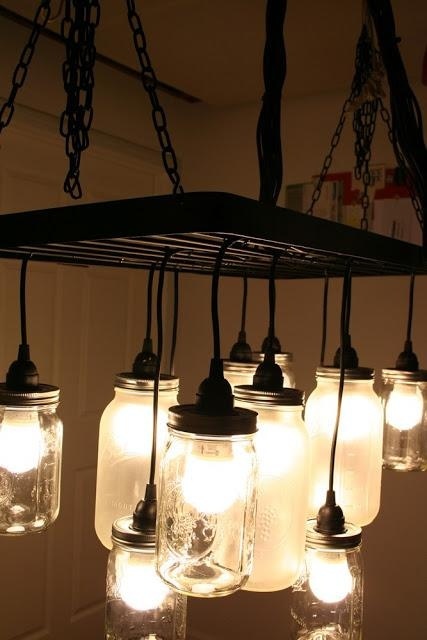 DIY and Craft Ideas has a great list of some awesome ideas and picture inspiration to get crafty with all those mason jars. From chandeliers, to gift ideas… You are going to leave inspired for sure. I love mason jars! Based on all the projects out there with them, I’d say other people love them too! Best of all, they are easy to come by and cost just pennies. Repurposing things is a favorite of mine! 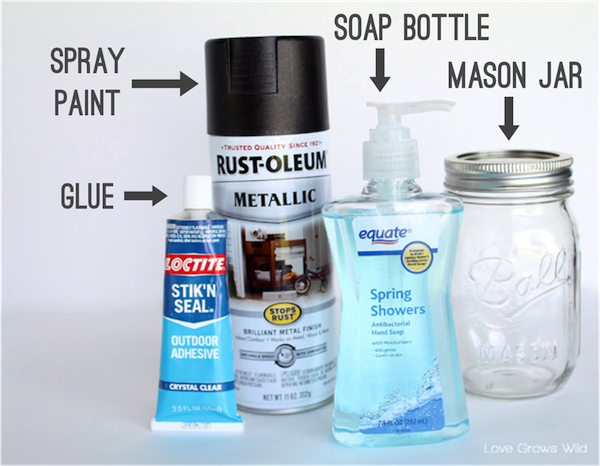 Turning an old mason jar into a soap dispenser is so clever! Time for a bathroom makeover and this will be needed! Find out how to make this splendid DIY Mason Jar Soap Dispenser –Love Grows Wild. (For other ideas on how to make these cute dispensers-check out Heather Bullard or Team Bowen). 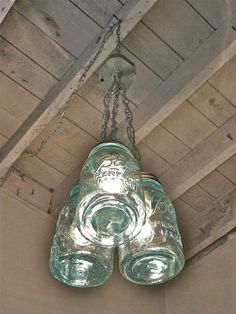 Keeping with our mason jar theme of the day… Check out these awesome lights! I have to make this for our house.